The 9th ranked Cards (6-1) got back on track Friday night with a dominating 69-38 win over Southern Miss (6-1). The Golden Eagles entered the game averaging 74 points per game and were held to just 38, which is incredible. After giving up 93 points on Sunday in a loss to North Carolina, it was clear that the defense had to be better, and they certainly did make a statement. Southern Miss shot just 13-45 (28.9%) for the game, and this one was 34-13 at halftime. 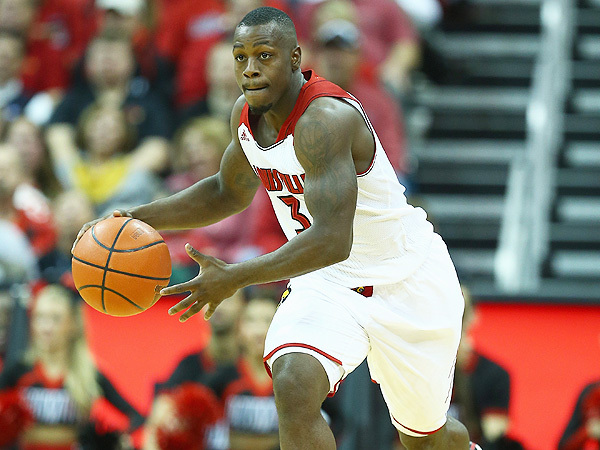 Freshman Terry Rozier got his first career start and scored 9 points and dished out 3 assists. He started for Chris Jones, who came in and led the team in scoring with 18 points, including 4-7 from 3 point land. Mangok Mathiang also got the start for the Cards, and he responded with 7 rebounds and 3 blocks (2 points) in 22 minutes and only picked up 2 fouls. Next up for Louisville will be Missouri Kansas City on Wednesday at the KFC Yum! Center at 7:00 p.m. ET. The Kangaroos (yep) are 1-4 and have given up over 100 points twice this season (also 96 in another game).